Hawaiian wine, as you might expect, accounts for a minuscule portion of American wine production. Several sources cite the Symphony grape as the only grape grown in the tropical paradise, however that is not correct today. There are some Hawai'i-grown grapes, and wines made from pineapples are quite popular, too - especially with tourists hoping to take a little Hawai'i home with them. "In 1974, in collaboration with Ulupalakua Ranch, the winery began growing grapes, remaining true to the area’s agricultural heritage. While waiting for the grapes to mature, they decided to develop a sparkling wine made from the plentiful pineapples on Maui. A scant amount of this wine was produced, but the public response to the wine was so positive that it was decided to pursue the endeavor of making a still pineapple wine. Three years later, Tedeschi Vineyards released a Maui Blanc pineapple wine from local fruit. In 1984, after years of labor and development, the first grape product was released: Maui Brut Sparkling." Tedeschi Vineyards is planted to Syrah, Chenin Blanc, Chardonnay, Malbec and Viognier, 1,800 feet above the blue Pacific in Haleakala’s rich, volcanic soil. Haleakala is the volcano which forms the eastern part of Maui. The US Geological Survey considers it in a non-eruptive phase, although it has erupted three times in the last 900 years. It's the soil that they call "the secret ingredient of successful winemaking in the tropics." It is that wonderful dirt that help grow grapes in a place with no season of dormancy, when vines typically recharge themselves and get ready for the growing season. Early Hawai'ians farmed sweet potatoes and taro there. Later, potatoes, corn and sugar cane were the dominant crops. Now, grapes flourish. Ulupalakua Red is a $16 blend of Syrah, Merlot and Malbec. They call it a "standup red" that works with pupu and all sorts of food, but also on its own. The wine is extremely dark and shows aromas of dark berries, smoky spices and toasty vanilla. The oak is quite pronounced (more on that later) and, along with the distinct minerality, upstages the fruit. A bit of a chill works well with this wine. It brings out the volcanic terroir and suppresses the oak effect. Try it with macadamia nuts. Lokelani is a sparkling rosé of Pinot Noir and Chardonnay which bears the name of Maui's official flower. It retails for $28. Produced in the classic Champenoise method, this non-vintage wine carries a 12.5% alcohol content. It sits pretty and salmon pink in the glass, with a nose that shows a little bit of funk, a little bit of earth and a cruise ship full of fruit. Herbal-tinged strawberries and cherries adorn the bouquet and the palate, with a toasty component as well. Fine bubbles fade to the rim quickly, but leave a slightly frizzante sensation clinging to the glass. The acidity is razor sharp, and the wine is a complete delight. Hula O'Maui Pineapple Sparkling Wine is all pineapple, all the time. It's made from the juice of fresh Maui pineapples and it makes no bones about it. Pale straw in color, this bubbly wine smells and tastes just like pineapple juice - and I'm OK with that. The bubbles do a pretty quick disappearing act, however, so pour and toast "Mahalo!" even quicker. This is the wine with which the winery made its name and it's still a popular commodity. Tourists can't get enough of it, but the locals like it, too. It goes nicely with Pan-Asian food, especially dishes with a spicy kick. Hula O'Maui retails for $23. I did not taste it, but the winery also has Upcountry Gold, which blends Viognier, Muscat and Chardonnay. It's aged in stainless steel and retails for $15. The winery has new estate red and white releases coming up. The red will be 100% Syrah and the white will be a Chenin Blanc/Viognier blend. They are also working on a Malbec. 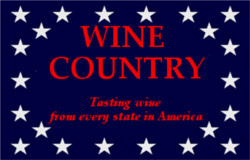 Their Hawaiian wines are distributed in 17 US states, Washington, D.C. and four other countries. I was fortunate enough to chat with several women instrumental in the production and sale of wine in Hawai'i. On the conference call were Melissa Mosher, Whole Foods Market Kailua Wine Buyer, Dabney Gough, Whole Foods Market Kailua Marketing Supervisor and Tedeschi Vineyards’ President, Paula Hegele. Hegele did most of the talking for the trio. Since the weather in Hawaii is great all year, one might assume that it must be great for grapes, too. Hegele says that's actually a challenge. "Interesting weather for grapes - the weather is too good. There is little stress for the vines and no dormancy, so the vines never get a chance to rest. The vines don't need to work to survive. The plants grow like crazy, but it's actually hard to get them to grow fruit! We don't have to wait for harvest - we can prune in June and harvest in January, but we don't. We prune in February and harvest in August." "We decided we wanted to have just one crop instead of several per year. The warmer weather really helps ripen the grapes, get the sugars up. We don't have the 95 degree days at the end of the growing season like other wine regions. We also have to take care of the grapes due to the humidity. Yes, we have moist air, but the slopes of the volcano make for volcanic soil which gives stress to the vines. We don't retain much water." Hegele says the growing season is long, but the Maui vineyard is actually a cool-climate growing region. The winery uses small yields to their advantage, with more concentrated fruit. "We don't leave a lot of fruit on the vines," she says. On a small island in the middle of the ocean, vineyard space is at a premium. "But it's a 20,000-acre ranch," says Hegele, "so we have the space. We have no vineyard neighbors, just cattle neighbors. We're such a small operation it would be nice to have some winemaker neighbors." Hegele says they have been lucky. "We have our 40th anniversary next year. Pineapple wine is what got us started, but it was never something we intended to continue with. It was something to do while the vineyard was being developed. We make great pineapple wines, though, from 100% Maui pineapples. It's a product were really proud of and that's really popular. It gave us recognition initially, and people still love the pineapple wines. We see anywhere from 400-600 visitors a day, year-round, and the pineapple wines are a big attraction. Everybody would probably expect a pineapple wine from Hawaii, which turns out to be another challenge. "It's hard to be taken seriously as a winemaker when you make pineapple wines. I hope we are doing our job and educating people as to how hard it is to make fruit wines. It's extremely expensive to grow grapes in Hawaii, so we want people to know we are more than pineapple wine. "But visitors like to have something with which they can remember their Hawaiian vacation. Pineapple wines are extremely popular - so much so it's hard to keep up with demand. It's like having Hawaii in a glass. The pineapple wines go great with the local cuisine, too. But we are making a name for ourselves with our grape wines. It's great that we've been allowed to have a 40 year experiment with the vineyard." Oak barrels are expensive, and Hegele says oak is an ongoing experiment as well. "We tried oak barrels and we are not using them at this time. They simply do not work for us. Shipping is terribly expensive, so we use stainless steel tanks and add oak influence with staves and chips. It's very sophisticated. You get incredible choices and we have oak trials where we determine the amount of oak to be used. We submerge the oak like a big teabag." WFM's Gough says "we have an extra incentive to cultivate local wines. Cut off from mainland as we are, local products are essential. 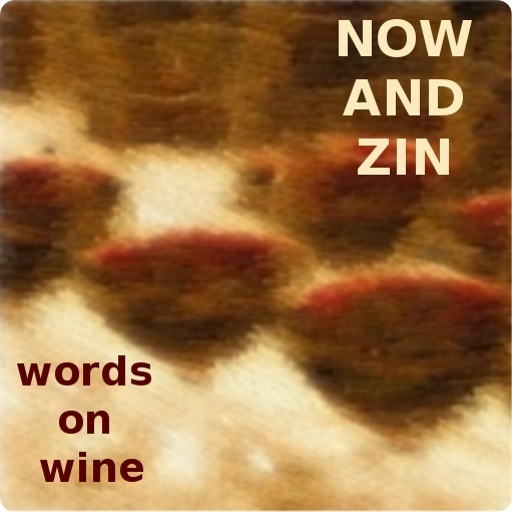 We feel our Hawaiian Whole Foods stores have an obligation to tend to the needs of our wine lovers." Wine education is a big part of the wine department at WFM Hawaii stores. They pour a lot of wine tastings every weekend, and seem genuinely pleased to be able to educate their customers. Whole Foods' three Hawaiian stores do offer a $2.99 wine, but the Gough says the wine departments try to "work people up the wine world."